The Volkswagen Eos 06-09 iPod iPhone Nano Touch Car Installation Kit Adapter allows you to directly connect your iPod to your factory radio allowing you to browse your music, by Artist, Album, Genre, and Playlist from the vehicle's factory radio controls. Unlike FM modulators which normally provide static and poor sound quality (especially in big cities with lots of stations), this system will allow you to directly connect so you'll hear all of your music with crystal clarity. This system will also provide you with the opportunity to add HD radio (allowing you to not only hear HD radio but also FM in CD quality, and AM at FM quality. ), and provides additional auxiliary audio capabilities. VIDEO: View the PLUG & PLAY steps to installing a PXAMG. VIDEO: View the PXAMG in action. 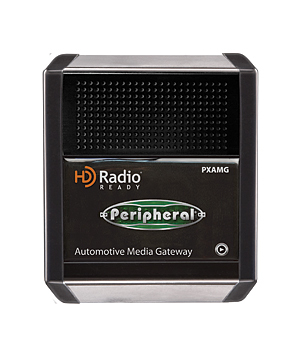 Peripheral PXAMG Universal iPod adapter with HD Radio and auxiliary audio capabilities. The PXAMG directly connects your iPod to your radio allowing you to browse your music, by Artist, Album, Genre, and Playlist from the radio controls. This direct connection eliminates the need for noisy FM modulated solutions, and also keeps the iPods internal battery charged. Keeps the Factory Radio Intact Plug-and-play interface eliminates the need to replace the factory radio, maintaining the vehicles original look and feel. Saves Time and Money Cutting-edge technology and compact size provide huge advantages over buying and installing a new stereo with similar capabilities. Provides Multiple Entertainment Options Additional auxiliary input connects MP3 players, satellite radio tuners, DVD players, navigation systems and other portable media to the vehicle. Delivers Digital-Quality Audio Direct connection to the factory radio ensures static-free, crystal-clear sound from the iPod and many other portable media devices. Enables All iPod Features and Functions from the iPod and the Radio iPod Interface displays information and provides iPod control from both the iPod and the radio. 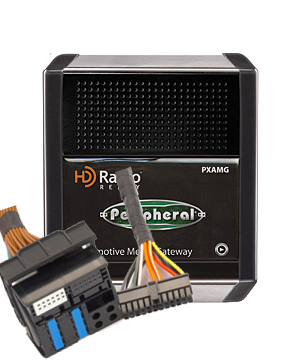 Works with Multiple Applications USB connection allows the PXAMG to be continually updated with downloadable firmware to work with the latest applications. Peripheral PGHVW1 vehicle specific harness Volkswagen cars equipped with a SAT button (excluding Beetle). PXAMG vehicle specific harness for Volkswagen cars equipped with a SAT button excluding Beetle. 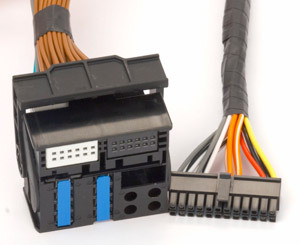 This harness is required and connects the PXAMG to your vehicle when your radio is equipped with a SAT button. The Product when used in conjunction with the PXAMG offers full browsing, control, and text display of your iPod while adding an auxiliary input (included) or an HD Radio tuner (sold separately). When installing the PXAMG into any Volkswagen you MUST update the PXAMG with firmware file .36c. Please click here to update your PXAMG.